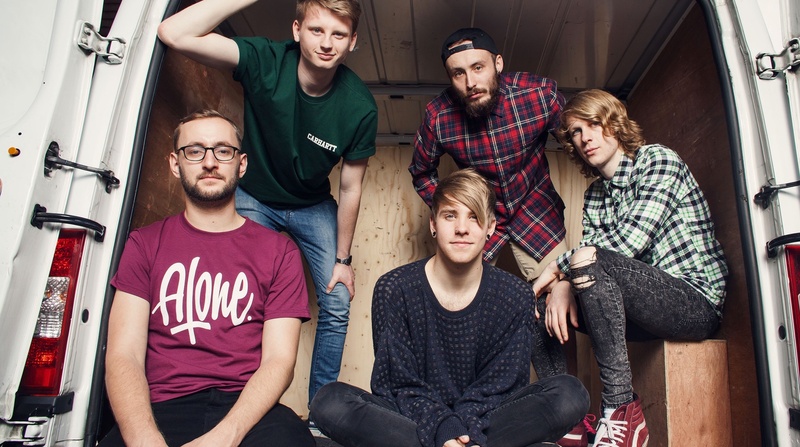 As It Is have parted ways with guitarist Andy Westhead. A statement from the remaining members can be found below. As many of you have noticed or heard, Andy is not performing with As It Is on the Neck Deep tour. We are very sorry to have not updated you all on this development. Trust us, we have so very much wanted to say something, but we were hoping to delay any public statements until we could make one with Andy’s full involvement and approval. However, it is important to us that we be upfront with you all. We sincerely regret that news of this situation did not reach all of you via a more formal, fair statement. It was never our intention to make this situation any more difficult than it has been already, and we hate seeing you guys upset and confused, so we’ll tell you as much as we can. Back in August, Ali, Ben, Foley & Patty came to the decision that we could no longer continue with Andy. Feelings and differences had been building up for at least a year; we tried to deal with these issues between all five of us, but sadly there were no improvements, and so it came to this point. Even though the four of us felt that this was the only solution for the health of both the band and ourselves as individuals, this was still the hardest decision we have ever had to face, and we did not make it lightly. We met up with Andy in person in August to let him know what the four of us had discussed and the reasons behind it. It was truly a very difficult conversation, but we felt it was the right and respectful thing to do, because Andy has been there since the start alongside the rest of us. Since this meeting, we have also spoken with Andy on the phone to reiterate the reasons behind our collective decision. It was therefore a surprise to us to see Andy’s tweet last night. We hope that you all can respect the collective privacy of all 5 of us, and that no-one will seek to dramatise this matter further. It is a hard time for everyone involved, and we have no interest or desire to partake in a public war of words. In fact, we wanted this to all take place in private, where it belongs. And regardless of anything, we sincerely wish Andy all the very best. Looking ahead, all scheduled As It Is shows will go ahead, and we will be continuing as a four piece indefinitely, in one form or another. Thank you all for reading, and for appreciating the complexities faced by everyone that this directly affects. As It Is - "The Fire, The Dark"